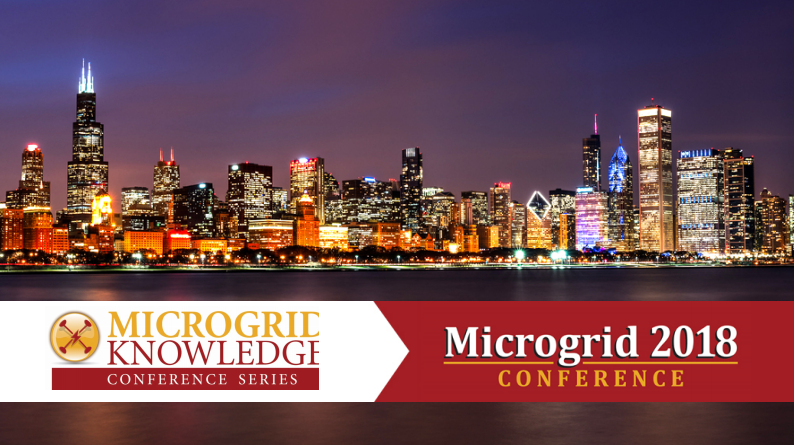 This panel presentation on urban microgrids from Microgrid 2018 includes research and analysis on the Philadelphia Navy Yard microgrid and the Hudson Yard microgrid. Experts from NetZero Microgrid Solutions and Ameresco explore how the Philadelphia Navy Yard microgrid is anchored by a natural-gas peaking plant, while the team at Veolia explains the details of its new Hudson Yard project. Moderator Eliot Assimakopoulos, microgrid sales leader at GE, launched the presentation by giving an overview on how the industry can develop economically viable and resilient microgrids. Microgrids can greatly increase grid resilience — the degree to which an electrical grid is reliable, recoverable and efficient. "By wisely planning your energy system you can avoid being forced to rely on your capacity to react," Assimakopoulos noted. But there are some key challenges to developing microgrids in today's markets, including cost and potential competition from utilities. But projects and companies are hurdling these challenges and developing economically viable microgrids. This includes the Philadelphia Navy Yard Microgrid and peaking plant. The yard, a 1,200-acre campus, is the site of a natural-gas fired peaking plant microgrid integration estimated to cost $11 million. Capabilities include peak management, ancillary services and resiliency. At Hudson Yards, Veolia aims to help power 18 million square feet in New York City’s West Side. A cogeneration plant was designed to be installed on the roof of the retail building at Hudson Yards. The cogen plant generates electricity, hot water, and chilled water, using four natural gas reciprocating engines. It is designed to operate even when the utility grid is down, providing power for business operations via a microgrid setup. Veolia highlights that beyond retail and real estate development, other sectors positioned for this type of change — the transition to more resilient energy sources — include retirement communities, colleges and universities, towns and municipalities, hospitals, and luxury resorts. 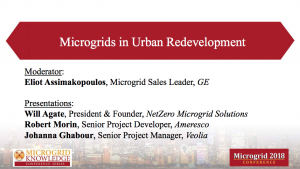 Download the full presentation to study two of the most advanced urban microgrids in development today.